We’ve been in business since 1971 and we still have plants out there from decades ago. Why? Because we understand horticultural technique. We provide the very best training to our offices and technicians. 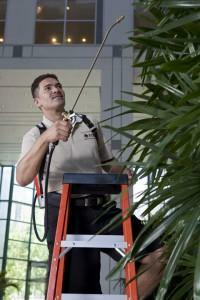 Our fully uniformed technicians are selected for the job because they are caring and have green thumbs. We further their training with up-to- date techniques in specific varietal management, water management, nutritional health and insect and disease control. Outside, you have automated irrigation and the rain. Inside, you have us. We specialize in the rescue of “sick” locations or can provide care anywhere indoor plants are found. For a cost free estimate contact us now at 800-933-7351, or via our website.